Is there anything more relaxing than a spa day with your bestie? 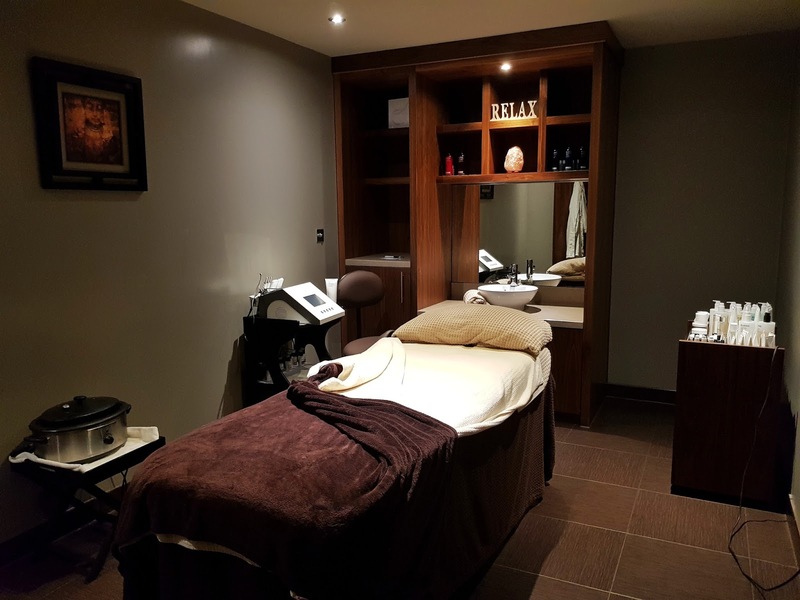 I think not and that's exactly what I was able to do a few weeks back when I went along to the Macdonald Inchyra Hotel and spa with my gal Lisa to experience their Spring Age Defy Pro-Collagen Spa Day offer that they have on right now. 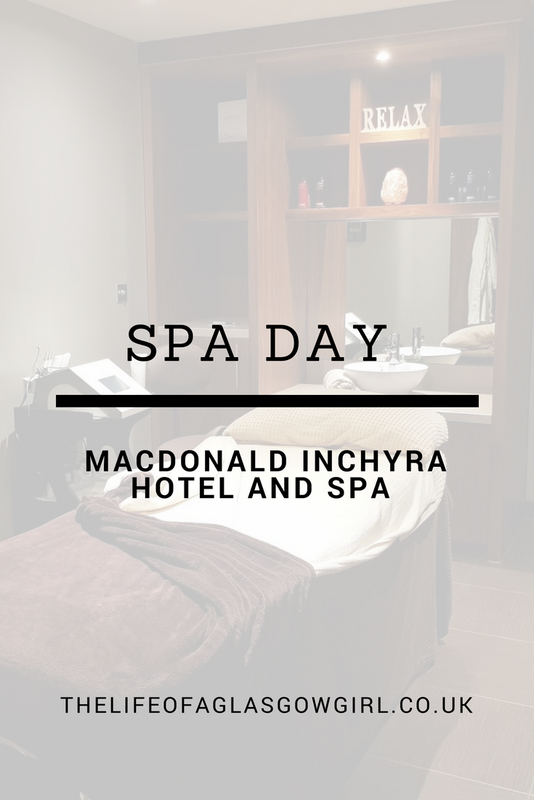 On Sunday 6th May Lisa and I went along to the Macdonald Inchyra hotel, all ready for a full day of relaxing. 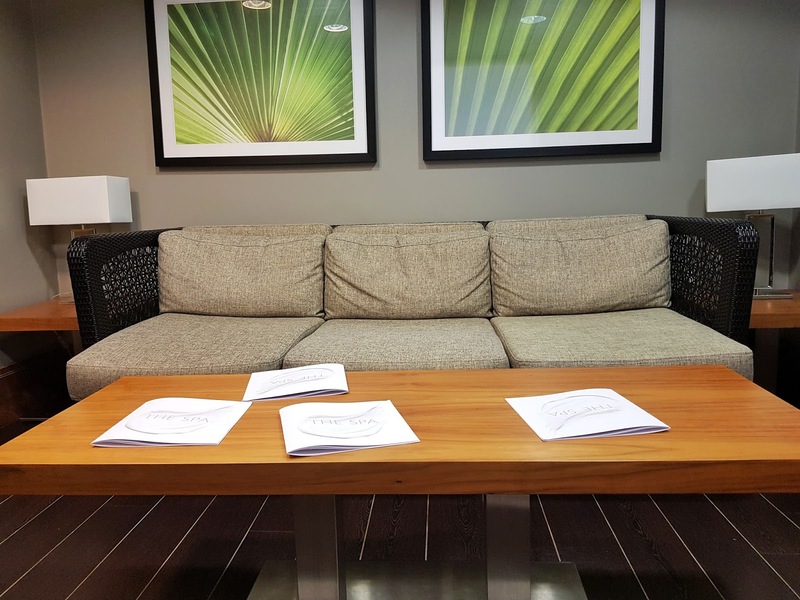 I can't express with words how excited we were to go and try the spa out and to see what the hotel was like since we have heard great things about the hotel. 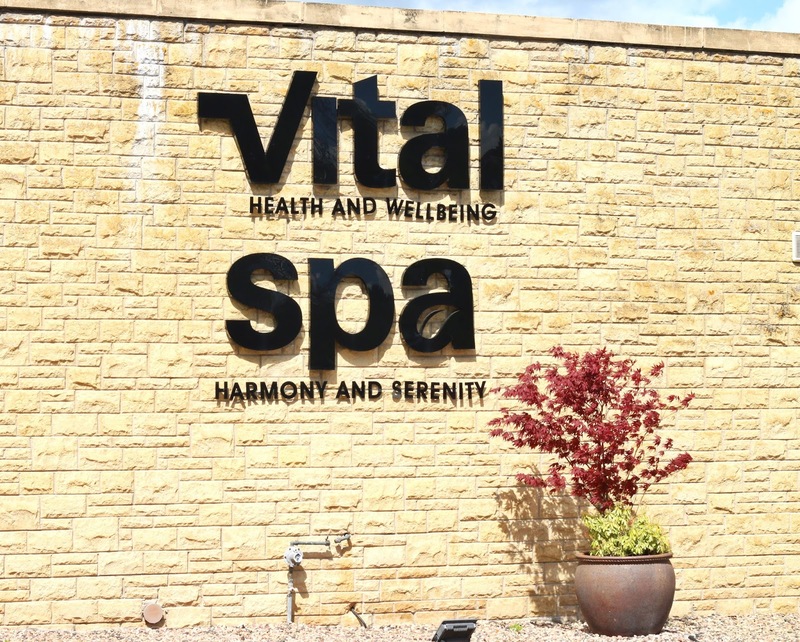 We have literally been planning a spa day for years but could never find something that suited us, that was the right kind of place to go so when I was asked to go along and experience their Spring Age Defy Pro-Collagen Spa Day I jumped at the chance, how could I not? And the first person I thought about coming with me was Lisa and I'm glad we went to this together as the full day was amazing. 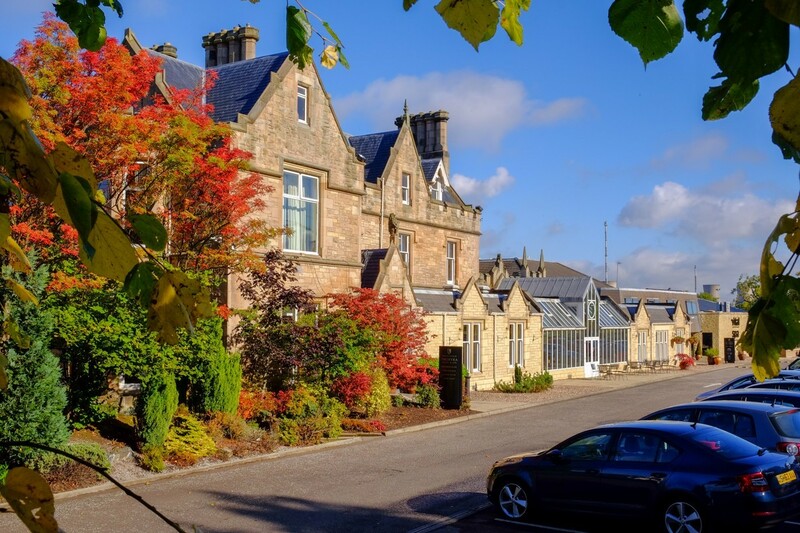 Macdonald Hotels were established in 1990 by Donald Macdonald and colleges, since then the Hotels and resorts have successfully expanded from it's beginnings in Aberdeenshire and has become the UK's largest privately owned hotel group. 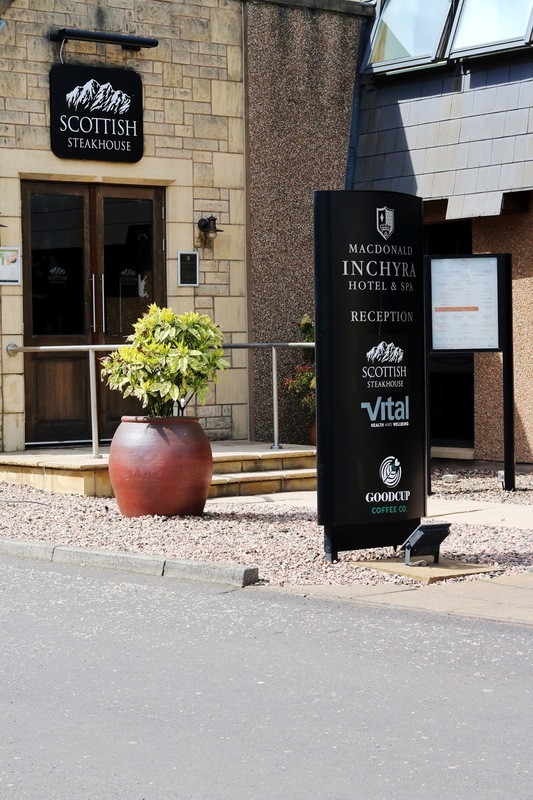 Madonald Hotels are now operating 53 hotels throughout the UK, Ireland, Portugal and Spain. When you're waiting for your facial there is a little room where you have to go 5 minutes before the treatment to wait on the person who will be administering your treatment coming to get you. It's a lovely little area to just chill out before you have to go and get it done. Lisa and I were sitting there for maybe around 10 minutes just chatting away and then we were both taken right at 12pm, I was convinced we would maybe have to wait for a little bit but we never, it was very prompt and the women who were doing our treatments were so nice. My treatment was administered by a lovely woman, from the moment she came to get me she was super lovely, very soft spoken which added to the relaxing atmosphere and she ran through everything with me first to make sure that the treatment would be right for me and to see what products would be best for my skin concerns from the ELEMIS range. The room where the treatment was taking place was very relaxing, dim lighting and soft music was playing throughout and it felt so tranquil. The bed had a heated blanket that kept me nice and warm through the treatment and I liked that when the main products were getting applied to my face they were explained to me what they were and what they were used for. I really don't have the right words to explain how the facial felt, I could have stayed on that be all day getting my face massaged. What I also liked was that it wasn't just a facial, there was also a scalp massage included and neck and shoulders massage. If I had to rate the whole experience of the facial out of 10 it would easily get 10 stars, I just can believe I have never tried a facial before now and it's for sure got me hooked. After the Facial we were given a glass of water and shown to the relaxation room where you go to chill out after your treatment, it's a beautiful little room that has candles lit throughout, comfy seats and little day beds, It's the perfect space for relaxing after a treatment. 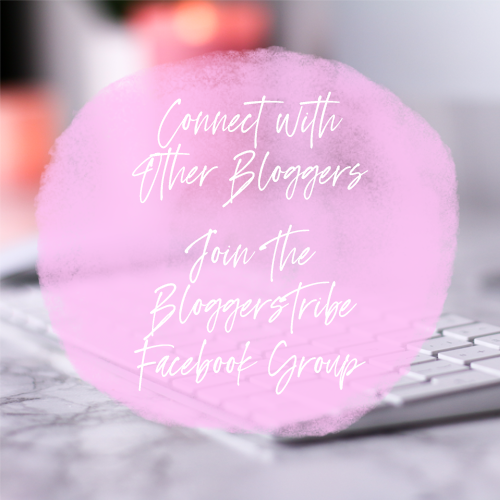 The Spring Age Defy Pro-Collagen Spa Day is on right now and if you click HERE you will be able to find out lots of information on it and book your experience. So what's included in this deal? 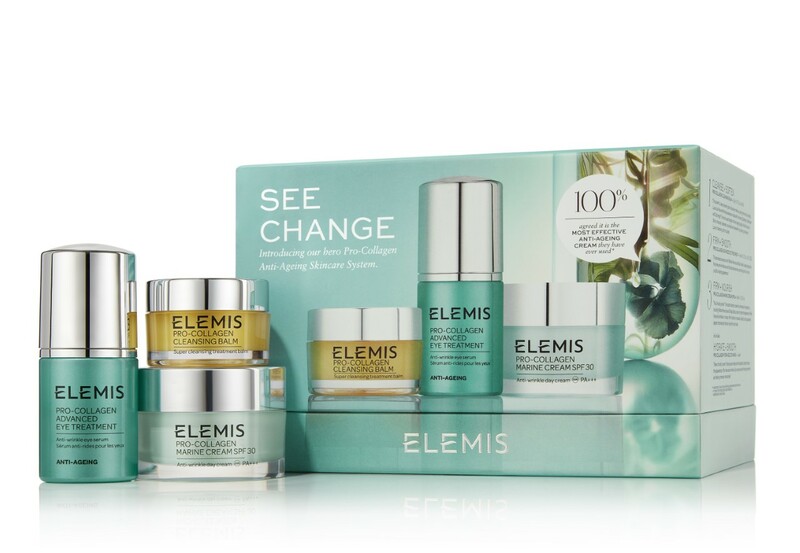 Well, you get a 55 minute facial which uses ELEMIS products throughout and literally feels like heaven when you're getting your facial. You also have full use of the spa facilities like the pool, sauna, gym and everything else in between. You also get robes, slippers and towels to use whilst you are there (Ps. They are super comfy!) you will also get a spa day lunch which has a little menu for you to choose your food, there will also be a Glass of Prosecco (which I so wish we got, that would have been nice), you will also get 10% off any additional pre-booked treatments so it's the perfect time to slip a massage in as well then you will also get a £5 retail voucher. 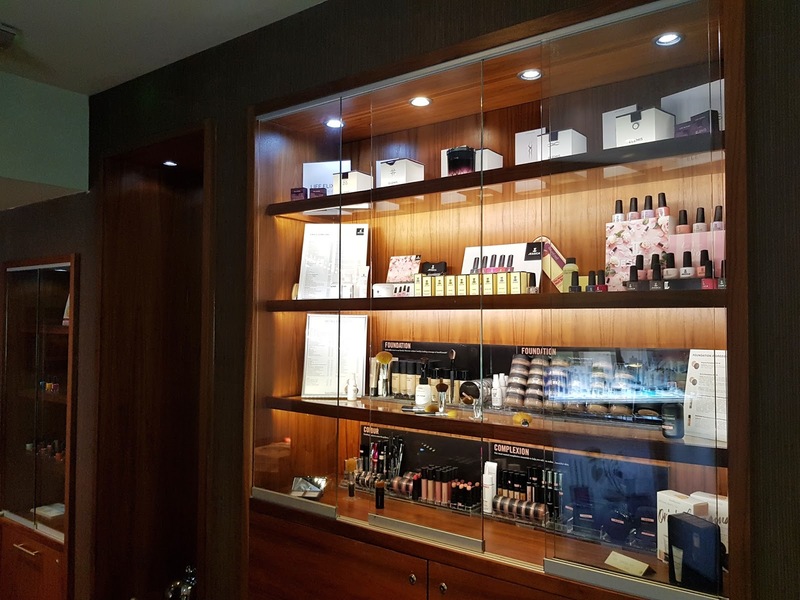 After our facials we headed along to the "shop" area which has a huge range of ELEMIS and Bare minerals products on display. 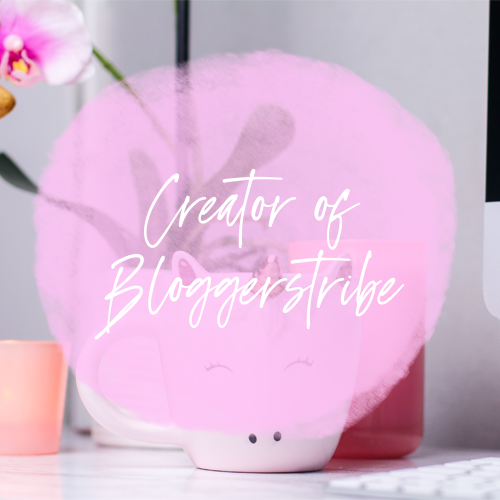 I really liked this area because you're invited to try products out, see what works for you and you can pick up all the skin care items that were used in your facial, so if there's something that you really liked then you can get it straight away. Lisa and I had a play about with some creams and I have to say, everything we tried smelled AMAZING! After we played around with some products we decided to check out the pool area and sauna. There aren't any pictures of these areas as there were a lot of people around and I didn't want to make them feel uncomfortable when they are trying to relax on their spa day with my big camera being pointed around the place, but I can tell you that it was such a beautiful place, the pool is amazing, a really great size and is the same depth the whole way along so there is no shallow end and no deep end which I think is perfect for people like my gran who really freak out in pools that have deep ends. The sauna is also fabulous, it's a lovely relaxing area where you can go, chill out and relieve some stress with a good steam. There is also a gym in the hotel that you get the use of as well so I would take some work out gear if that's something you would like to do. Once we had checked the whole place out, had a play around with products and explored every corner inside and outside of the spa area it was time for some lunch. 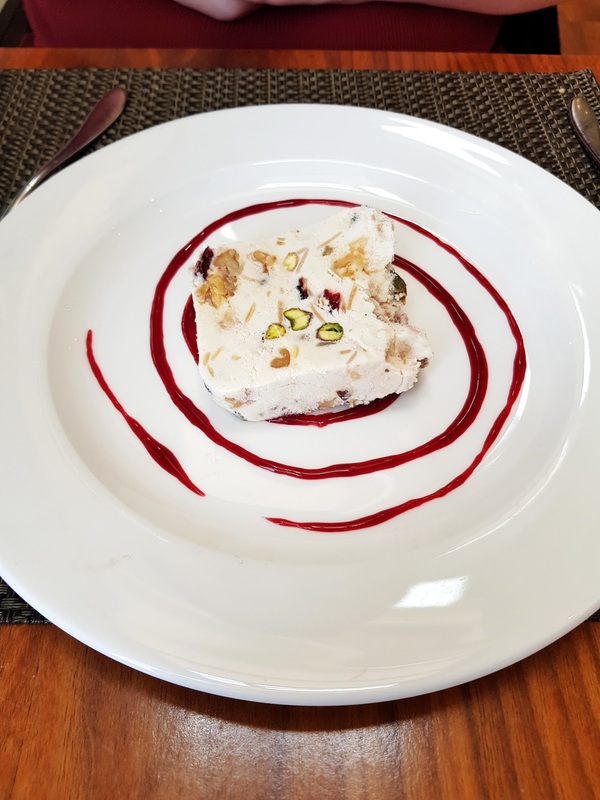 We were greeted by a lovely waiter who was very friendly, we were showed to our table which was situated next to the open door in the restaurant area and I couldn't be happier as it was a lovely sunny day. 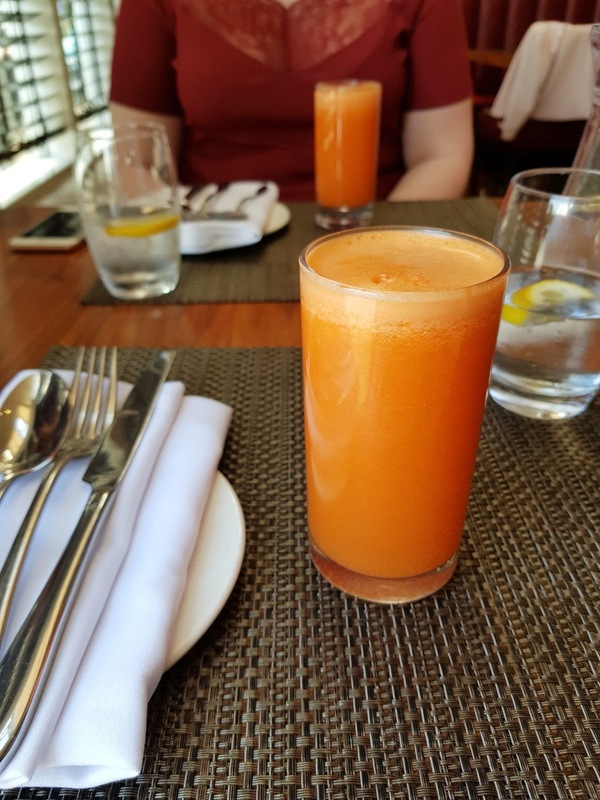 For starters Lisa and I both went for the mango smoothie, at first I was a little bit sceptical about it as it looked a little lumpy and full of bits but once I got to drinking it I really liked it, it was a really tasty drink and perfect for getting revitalised after a nice facial. Next up was Chicken with couscous and a nice spicy sauce. Again, Lisa and I both went for the same main and we both LOVED it, Lisa wolfed hers down and was finished in record time, she said that she really enjoyed it. 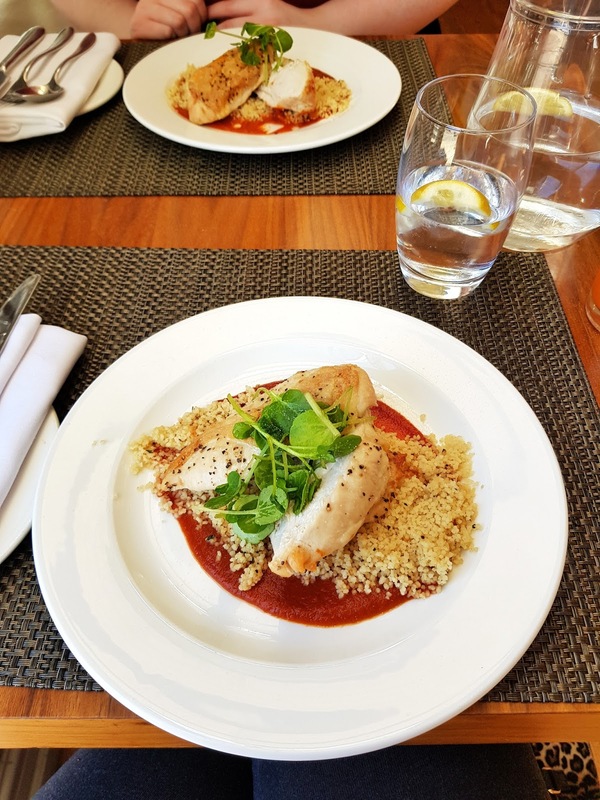 I was a big fan of the chicken and the spicy sauce, it was a great combo but I'm not huge on couscous, I did have a good go at it though and ended up eating more than I thought I would. 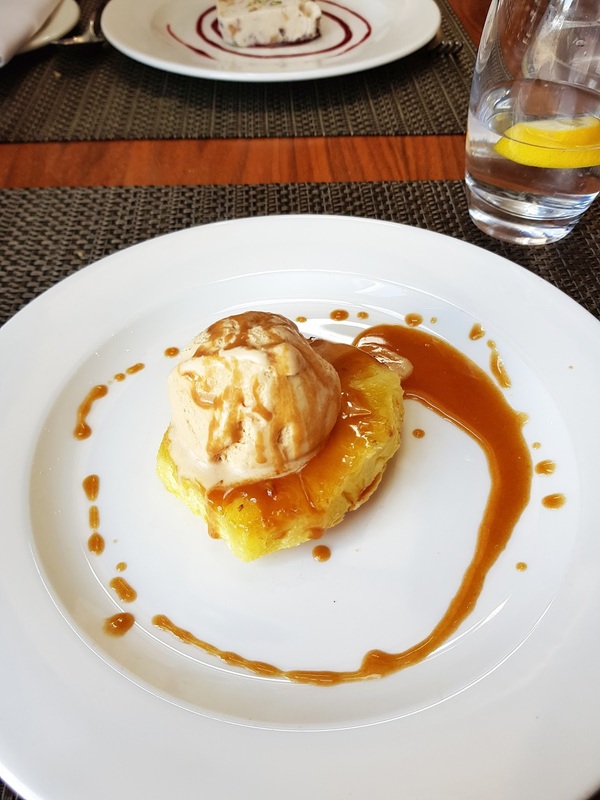 After the beautiful main it was time for desert, I was in LOVE with mine, hot pineapple with salted caramel ice-cream and some toffee sauce.... I could have ate about ten of them, I'm not even kidding. The desert was my favourite part if I'm honest, on a nice sunny day it's always a great idea to have some ice cream. All in all it was an amazing day, The facial was super relaxing, I loved how friendly everyone was and the food was on point. 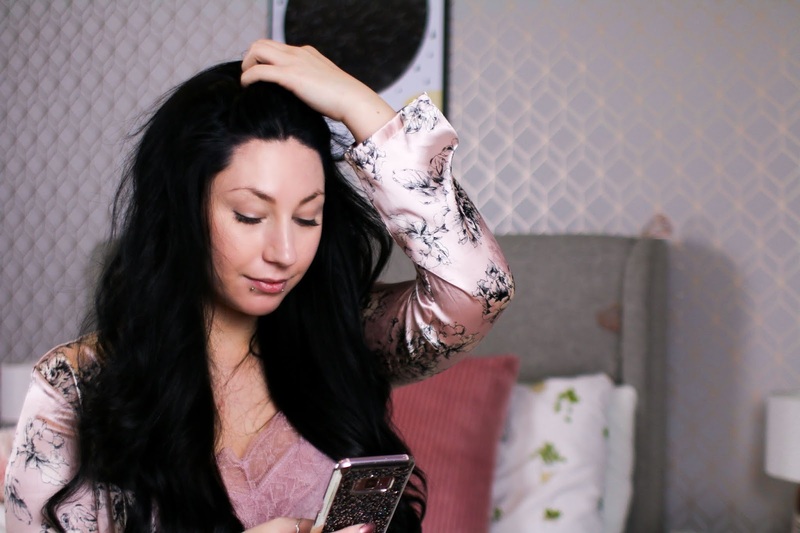 As I explained above, their Spring Age Defy Pro-Collagen Spa Day is on right now and you can find all information HERE and you can choose which hotel you go to so fingers crossed there is one near you because I would say give this a go if you have the chance, you will be floating on a cloud afterwards.